Atlanta Jamaicans are mourning the passing of Anthony C. Winkler, one of Jamaica’s most gifted and successful writers. He died peacefully at his home in Dunwoody, Georgia on September 18, 2015. He is survived by his wife Cathy, daughter Becky, son Adam and his (Adam’s) wife of three weeks, Amy. He was 73. In 2014 Winkler was awarded the Townsend Prize, a biennial literary award recognizing the achievement of Georgia fiction writers. He was also a recipient of Jamaica’s Musgrave Medal for his achievements in Literature receiving the gold medal in 2014 and silver in 2004. His most recent novels include The Family Mansion and God Carlos both of which dealt with the European colonization of the island of Jamaica. Two of his novels have been made into movies: The Annihilation of Fish, starring James Earl Jones and Lynn Redgrave; and his most famous work, a satirical novel titled, The Lunatic. Winkler’s first novel was also his favorite. The Painted Canoe took him several years to write and over 10 years to get it published. After many rejections, Kingston Publishers finally published it in 1984. His other novels included, The Duppy, Dog Wars, Crocodile and The Great Yacht Race. His non-fiction books included, Bob Marley: My son, written with Cedella Marley Booker, Bob Marley’s mother; Trust the Darkness: My Life as a Writer; and Going Home to Teach, an autobiographical account of his experiences during the turbulent 70’s at a school in the rural Jamaican town of Moneague. He wrote two plays: The Burglar and The Hippopotamus Card. Although he is better known for his novels, Winkler made his living writing college textbooks which included, Grammar Talk, Writing Talk, A Brief Introduction to Speech, Readings for Writers, Writing the Research Paper and Reading, Writing and the Humanities. Born in Kingston, Jamaica, Winkler attended schools in Kingston (Excelsior) and Montego Bay (Cornwall College and Mt. Alvernia Academy) and left Jamaica when he was 21 to pursue a bachelor’s and a master’s degree in English. Winkler will be missed by the Jamaican community in Atlanta where he resided since 1978. He served as president of the Atlanta Jamaican Association for two terms during which he coordinated hurricane Gilbert relief efforts, scholarship programs and brought plays from Jamaica. So sorry to hear. He was one of a kind – and one of my favourite writers. I loved seeing him at Calabash. My sympathy to his family. I greatly value his books about life in Jamaica and am so much richer for having read them. Thank you for your contribution to my understanding of the people of this poor but beautiful island in the sun. RIP Anthony Winkler and again thank you for your contribution to the Jamaican literature. RIP Mr. Winkler, you will be surely missed. This is sad news for me! One of my most favorite, and one of the greatest Jamaican writers! RIP Mr. Winkler, I hope you find Aloysius and Olga, and they show you good-good times in Heavens! RIP Mr. Winkler. Thank you for your contribution to Jamaica and Jamaicans in Atlanta. My condolences to his family. I love the characters in his books and have his entire collection except for his latest. He was such a prolific writer and left a great legacy. He will be missed. For a Peace Corps volunteer in the late 1980’s, the Lunatic and the Painted Canoe made my new home come alive, rich with meaning and understanding. I lived in (and continue to re-visit) Moneague, setting of the Lunatic. There I went to Sunday cricket under the cotton tree, and knew each of the fictional characters of the village in reality (the madman, really named Prodigal), the Busha MacKintosh (several contenders for this character), the primary school in Swamp, etc. Thank you Anthony for sharing your unique gift to the world, God bless you on your journey up through the Gulley to Jamaican heaven. RIP Anthony Winkler. Your novels are wonderful – they live on- Thank you! Salute to you Anthony Winkler .You’ve made me cry with laughter so many times ..my neighbors must have thought i was a Lunatic …then I have shared your work as gifts with cherished friends . Spent uninterrupted hours cuddled by the seaside in calm spaces with Trust the Darkness ..still don’t… but I believe there is real merit in your memoirs . A poignant understanding of the Caribbean psyche , vast landscape of words quilted with comic relief ,the world could do with a lot more of . You have sailed a great race , farewell and peace always. Catherine da Silva ,Trinidad &Tobago. This man was a visionary! He did not forget Jamaica and the Caribbean. He made every effort to highlight who we are as a nation, people and region. He showed the world the brilliance, intelligence and talent that came out of that tiny island. He embraced the diversity of his fellow Jamaicans and welcomed us into his home and family. Tony’s contribution to our society and country is beyond measure. Well done my brother! You did your best and left us with a great legacy. Until we meet again, sleep on and take your rest! My heartfelt sympathy to the Winkler family. 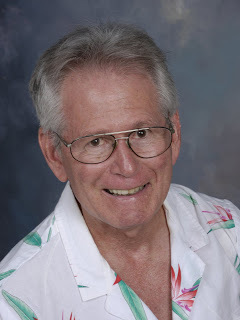 I would describe Anthony Winkler as a “literary calypsonian.” He had an intimate knowledge of the Jamaican culture and used humor (much like the calypsonians) to comment on the many contradictions in that complicated little island that is Jamaica. A brilliant writer and social commentator who will be missed. Condolences to the Winkler family. What a man! He was humble and laid back, yet a phenomenal leader. His infectiously charismatic personality made it a natural joy to serve with him and brought out the best in everyone that produced a collective energy that the Jamaican community in Atlanta especially will always appreciably remember. We share in the family’s loss and convey our sympathy remembering that, with the proper life, it is only temporary till we meet again. We talked a lot about work, as we are in the same profession. He was a great storyteller. He told me stories I had never heard before about Jamaica. Read his books, watch his movies, many of these stories in Tony’s uniquely Jamaican narrative and somewhat edgy style are captured there also. He shared a humorous story of how he was dismissed from the screenwriting team at Disney where he had been invited to write for “Cool Runnings,” when he repeatedly objected to some of the inauthentic depictions of Jamaicans and Jamaican life. He wanted me to do my PhD Dissertation on his work. It was a really good idea. I should have done it. I was almost the distributor for his film, “The Annihilation of Fish.” The producer offered it to me, but I could not take it on at the time. He was hilarious, with a particular cynical view of our homeland, intrinsically insight of the Jamaican psyche, progressive, encouraging, elevating, and very, very Jamaican. He was a great personal friend. His gift is the impressive body of work he left behind, which paints impressions of a Jamaica that current and future generations will never know. His parting is a national loss. He is truly missed. My sincere condolences to his family. This is a great loss for both the Jamaican and Atlanta community. I cleaned out my storage locker this week and ran across my six Anthony Winkler novels. I looked up his bio in Wiki and was stunned to learn that he had passed. I am a Jamerican and he was my favorite writer. So I wish him well in heaven. Cool runnings.